Choosing a solid-state drive over the conventional platter-based hard drive as a portable storage solution for your external data handling (Such as: Storing your important files and folders, and installing another operating system for certain purposes) is a wise decision to make, as solid state drives are more reliable and durable than platter-based hard drives. As well as their incredible speed, they are shock resistant and more robust than HDDs, and this is something critical for anyone who is still hesitant about whether to buy a solid-state external SSD drive or HDD, as movement can have devastating effects on mechanical drives, especially during write events. SSDs, having no moving parts, aren’t affected by mobility and are well-suited to tough physical abuse. SSDs can withstand up to 1,500G during operation or 25 times that of a standard drive. Moreover, a big advantage that SSDs have over spinning disks is that spinning disks fail at an elevated altitude. This may be a problem if an external spinning disk is taken on an airplane without pressurization or the pressurization fails. (Read more about: The benefits of SSDs). 1- To go directly for a branded external SSD, and this is what this article is about. a]. Pick the most suitable SSD to you from this list. b]. 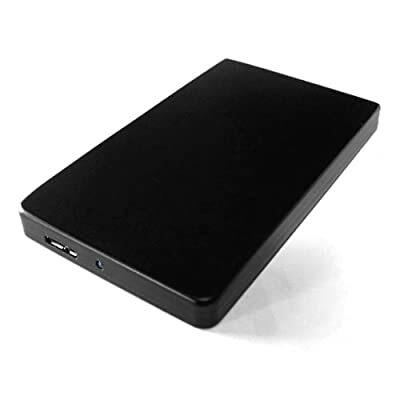 Pick a relevant USB hard drive enclosure from this list. 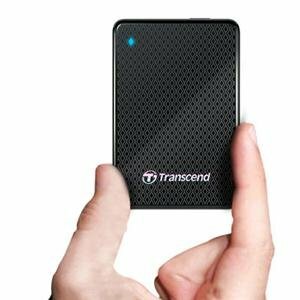 Below are only the top three portable USB 3.0 external SSD hard drives presented with helpful related details. [Released in November 2012]: The ESD200 USB 3.0 Portable Solid State Drive is equipped with a next-generation SuperSpeed USB 3.0 connection interface that provides 10 times the bandwidth of USB 2.0. Thanks to its lightweight, compact design and solid state durability, the ESD200 portable SSD makes it easy to store, protect, carry and share all your digital files wherever you go. [Released in September 2012]: Rugged, fast and compact, Verbatim’s USB 3.0 External Solid State Drive (SSD) provides the latest in external data storage options. Offering data transfer rates up to 150MB/sec* Verbatim USB 3.0 External SSD drives are ideal for users that demand maximum performance in data storage devices. With USB 3.0 connectivity Verbatim’s USB 3.0 External SSDs handle large data transfers quickly and are ideal for video editing, interchanging large amounts of data, or maximizing gaming performance. The Verbatim USB 3.0 External SSD operates silently and features low power consumption for extending laptop battery life. All Verbatim Solid State Drives are 100% compatible with USB 2.0 and are back by a 2 year limited warranty. The Oyen Digital U32 Shadow™ USB 3.0 SSD incorporates a high-performance Solid State Drive (SSD) to provide fast, silent, and durable performance. With an ultra-compact size, it fits easily into your pocket for maximum portability. The stylish design features a solid aluminum body engineered to effectively dissipate heat and provide durable portability. The U32 SSD can provide speeds of over 200 MB/s when connected to a USB 3.0 port. The drive is also compatible with USB 2.0 connections. Powered by the USB cable, the U32 Shadow requires no external AC adapter or custom drivers — making it a simple portable storage solution. The drive includes a high-quality, padded carrying pouch and flexible backup software that can be installed and configured if desired. Also included is 7GB of lifetime cloud storage with SpiderOak, which allows you to access your files from any smartphone, tablet or computer!